If you’re suffering from congestion, a runny nose, sore throat, and aches and pains, your first thought may be that you are suffering the common cold or the flu. However, as the symptoms wear on with little relief in sight, you may begin to wonder if something else is going on. If you have allergies or other problems that affect your respiratory system, you may feel like your life is out of control. Our primary care clinics specialize in providing you and your family with the routine checkups needed to manage and address allergies and chronic or acute respiratory problems. In order to accurately treat your breathing difficulties, including allergies, our medical staff will first need to identify an underlying cause. Then we can help you determine if treatments like oxygen therapy, oral medication, inhaled medication, antibiotics, or more invasive medical procedures are needed to get you breathing better. Our physicians may avail themselves of tests such as an oximeter, chest X-rays, or CT scans to determine the amount of oxygen in your blood as well as get a visual of any damage to your heart or lungs that may be leading to your shortness of breath. 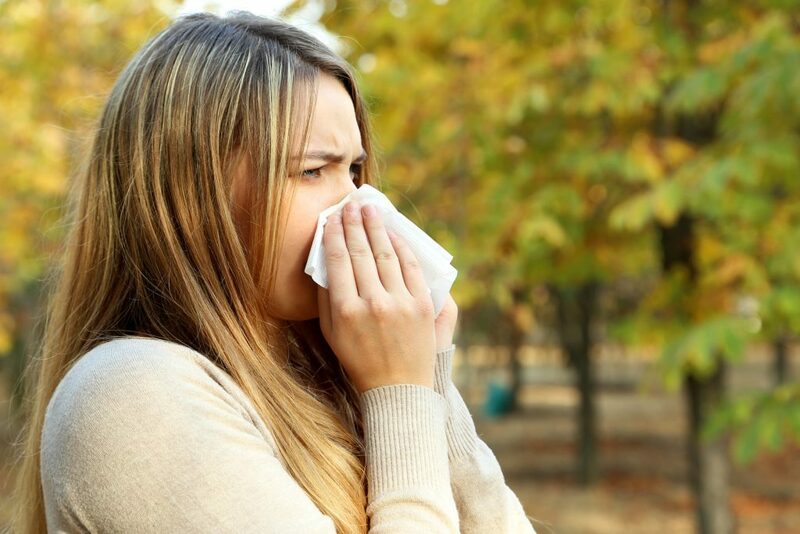 Seasonal allergies cause many of the same symptoms as the common cold, but they tend to happen at times when the common cold isn’t quite as prevalent. For many allergy sufferers, over-the-counter medications taken when pollen seems to be high is more than enough to keep them feeling healthy. For others, more intense therapies may be necessary. When someone, especially a young child, is allergic to something in their environment, it can be difficult to pin down exactly what is causing the problem. The allergy sufferer might have hives or a rash that comes and goes, outbreaks of eczema or psoriasis, or cough and wheeze when they come into contact with a perfume or highly scented object. The same anti-histamines that help seasonal allergy sufferers can help environmental allergy sufferers, though ultimately the preferred treatment is to remove the cause of the allergy. That’s easy when it means changing detergent brands, but a bit more difficult when it’s a family pet. Food allergies are the most dangerous category of allergies for most sufferers, because food allergies carry the risk of anaphylactic shock. Anaphylaxis is an allergic reaction that is so severe that it is life threatening. Most people with severe food allergies carry emergency medicine which helps their system recover until they can get to an emergency room; if you believe that you are having a severe allergic reaction, you should go to the emergency room. Unfortunately, there are not many therapies available for food allergy sufferers. In general, sufferers are told to avoid the food that triggers their allergies. Some evidence has shown exposure therapy to help, but this should always be conducted under the watchful eye of your ENT or allergy specialist.